Some years back we discovered the 1994 book, Buster At The Wall. 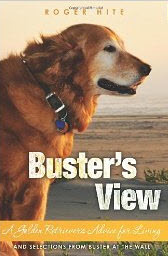 Hungering for more from Golden Retriever author, Buster, we did some earnest detective work and finally located Dr. Roger Hite ─ Buster's talented co-author. We learned that Roger, recently retired CEO at Dominican Hospital, had published several books, his desire to truly comfort and inspire with his writing. Whether one is reading those written by Golden Buster (with Roger's help) or Roger (with Buster's help), the experience will be a unique and uplifting one. How can it not be with Buster's special brand of dog-philosophy? Dr. Hite has been a great champion of our foundation's cause, donating several copies to us to raise monies for our mission of providing funding canine cancer treatment and research. And, we are so deeply humbled by his dedicating his final Buster books (BUSTER'S VIEW and BUSTER'S SPIRIT) to our foundation. By Buster with Assistance from Roger W. Hite, Ph.D. November 2008 publication. 140 page paperback. 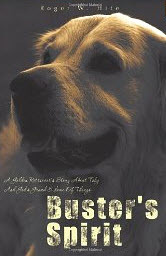 Buster's Spirit is a story told through the eyes of Buster, a Golden Retriever. In his lifetime Buster spent many evenings with his philosopher friend, Roger, sitting on the sea wall overlooking the Monterey Bay. There, Buster and Roger talked about events that allowed them to share their insights about life, love, and death and published a book of their thoughts ― Buster at the Wall. By Buster with help from Roger W. Hite, Ph.D. 1994 publication. 143 page paperback now out of print. First book in Buster trilogy. Very limited number of these books which were recently discovered by the author. By Buster with help from Roger W. Hite, Ph.D. 1995 publication. 181 page paperback now out of print.. Second book in Buster trilogy. 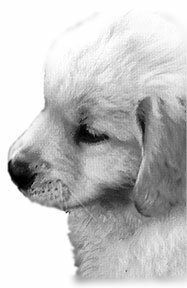 This book tells an adventure story told through the eyes of an aging Golden Retriever. In the tradition of The Wizard of Oz. Buster describes his arrival at the Gates of Heaven, only to learn that in The Grand Scheme of Things dogs exist in the lushness outside the gate, and may not pass through the gate to be with their humans.